Is the social pact underlying home ownership in Singapore at risk of erosion? For most Singaporeans, our Housing and Development Board (HDB) home represents the single biggest asset we own. Not only is it an integral part of our Singapore story, but also of our Singaporean way of life. A way of life where the norm is to go through a cookie-cutter education system, to land a job, and to propose to your partner by saying “let’s apply for BTO.” After collecting one’s keys, many Singaporeans spend the next 20 to 30 years financing their homes before fully paying it off. The almost-universal home ownership scheme was, and still is, a success on many counts and has received international recognition for its effectiveness. There was a time when the government, through its policies and statements, reflected that it was in the shared interest of all Singaporeans for the government to protect the value of this single biggest asset owned by the people. When homeowners started to worry about falling asset prices due to the aging of estates, upgrading programmes were introduced to spruce up neighbourhoods and the homes themselves. 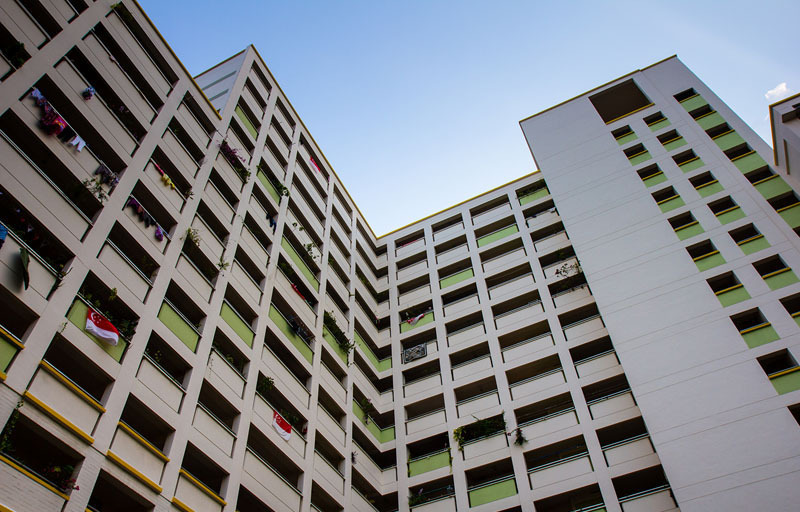 Later, as concerns arose due to the uncertainty afforded by the dwindling of remaining lease terms, the Selective En bloc Redevelopment Scheme (SERS) was introduced to reset the lease clock, so that homeowners would be able to move into new homes with a new 99-year lease. SERS enabled urban rejuvenation in mature estates which were typically located in good, central locations. From many angles, it was a win-win. The homeowners would not have to worry about asset depreciation while the government could unlock the land value through the utilisation of increased plot ratios during redevelopment. The prevailing consensus amongst Singaporeans remains that it would be unfathomable to envision a situation where we would have to give up our single biggest asset to the State for nothing. We assume that the government will come up with solutions such as the Main Upgrading Programme, Home Improvement Programme and SERS to get around existing legal technicalities to protect our interest as home owners. Therein lies a social contract – a pact between the government and the people. Shift in directions: A social pact no more? “(SERS) is only offered to HDB blocks located in sites with high redevelopment potential. These are typically sites where the land has not been well utilised. It is also subject to the availability of suitable replacement sites for residents and the Government’s financial resources. This is why only 4% of HDB flats have been identified for SERS since it was launched in 1995. We will continue to maintain this strict selection criteria. So please do not assume that all old HDB flats will be automatically eligible for SERS. – Minister for National Development, Lawrence Wong, in his blog post dated March 2017 (emphasis ours). Objectively, what the Minister for National Development said is not wrong. From the perspective of economics, an asset with a diminishing lease term and no firm commitment of rejuvenation would naturally depreciate with time. It does not matter if we view ourselves as HDB home owners or as lease tenants; the fact remains that real estate is enmeshed with a bundle of legal rights over a period of time. One’s ownership rights and obligations expire when the term is up. However, if we reflect a little more on the Minister’s statement, the application of SERS seems to be based solely on economic considerations. Only those flats with high redevelopment potential are considered. To push the point home about the high degree of selectivity in SERS, the Minister advised couples to consider wisely when purchasing homes so as to ensure that the remaining lease term will be long enough for them to live their lives. He suggests that a couple in their 30s “could consider resale units with leases that are 65 years or longer,” which ultimately matches up to life expectancy in Singapore. A worrying signal of this approach to dealing with the aging of our homes is that the government might lean too much on economic considerations when “de-housing” the nation of its old homes. A chief concern is that the government might leave people high and dry, providing legal and economic justifications for what is undoubtedly also a social issue. Furthermore, the injection of market-destabilising statements may depress resale values of older units by putting to rest the perception that SERS is a safety net most Singaporeans would be able to rely on at some point in time in the future. Intentionally or otherwise, the resulting consequence may also depress SERS compensation down the line, as compensation would be based upon resale comparable to already depressed transactions. Is the government’s new direction on housing policy to declare that our single biggest asset, which most Singaporeans spend the bulk of their working lives to finance, is naturally susceptible to economic forces with time, without addressing the problem through policy? Beyond providing advice to couples seeking to buy flats, it should be questioned if the government of the day will pro-actively intervene, like governments of the past used to, for the purpose of protecting the value of our homes. The policy response to this emerging problem will determine the future of the social contract between the government and the people insofar as the institution of public home ownership in the Singapore story is concerned.